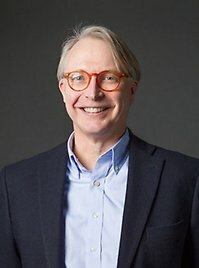 Carl Folke (b.1955) is a transdisciplinary environmental scientist, co-founder and Science Director of the Stockholm Resilience Center, Director of the Beijer Institute of Ecological Economics of the Royal Swedish Academy of Sciences, Director of the Global Economic Dynamics and the Biosphere program of the Royal Swedish Academy, former secretary of the International Society of Ecological Economics, co-founder of the Resilience Alliance, and co-editor of their Ecology and Society journal since 2002. He has co-authored >200 publications, including “Resilience and Sustainable Development: Building Adaptive Capacity in a World of Transformation” (Ambio, 2002), Principles of Ecosystem Stewardship: Resilience-Based Natural Resource Management in a Changing World (2009), “Resilience Thinking: Integrating Resilience, Adaptability and Transformability” (Ecology and Society, 2010), “Reconnecting to the Biosphere” (Ambio, 2011), Adapting Institutions: Governance, Complexity and Social-Ecological Resilience (2011), Water Resilience for Human Prosperity (2014), and “Planetary Boundaries: Guiding Human Development on a Changing Planet” (Science, 2015; with many others). In 2017, Folke was awarded Norway’s Gunners Sustainability Science Award for sustainable development globally.